is a graduate of Westminster Choir College in Princeton, New Jersey, and an award-winning performer on both hammered dulcimer and autoharp (1997 National Hammered Dulcimer Champion; 1995, 2003, 2010 International Autoharp Champion; 1995, 2010, 2015 Mountain Laurel Autoharp Champion; 1994 National Autoharp Champion). She has performed at The Academy of Music, Philadelphia; The Metropolitan Museum of Art, New York City; Midwinter Bluegrass Festival, Denver, CO; Ozark Folk Center, Mountain View, Arkansas; City Stages, Birmingham, Alabama; United Methodist Council of Bishops; Westminster Choir College; The Philadelphia Folk Festival; Sore Fingers Summer School, Kingham, England; Mountain Laurel Autoharp Gathering, Newport, Pennsylvania; Original Dulcimer Players Club, Evart, Michigan; St. John’s Cathedral, Denver, CO (where she was named Music Associate in 2001); New Jersey State Council on the Arts; Old Faithful Inn, Yellowstone National Park; and on numerous concert series. Additionally, she provided communion music for church services celebrated in Denver by the Archbishop of Canterbury. She studied melody, choral composition and song leading as a Melodious Accord Fellow under the guidance of renowned choral arranger Alice Parker. As an instructor, Lucille is dedicated to teaching dulcimer and autoharp players how to sing through their instruments by increasing their technical facility. 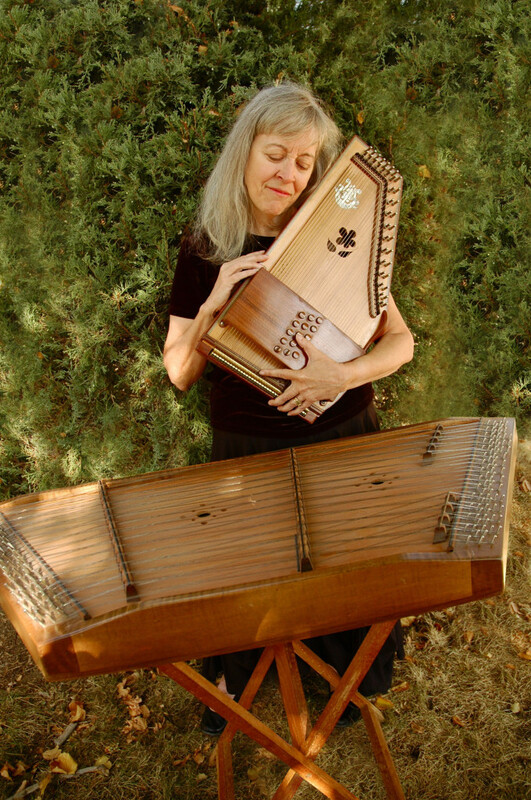 The author of two instruction books for hammered dulcimer and a monograph series for autoharp, Lucille has one CD and several choral works with dulcimer or autoharp as accompaniment to her credit. For a smattering of Lucille’s more amazing musical accomplishments, click here.